We tried 4 sliders and an order of fries. The special caught our eye right away and since it was only going to be around for one more day, we took advantage of it. 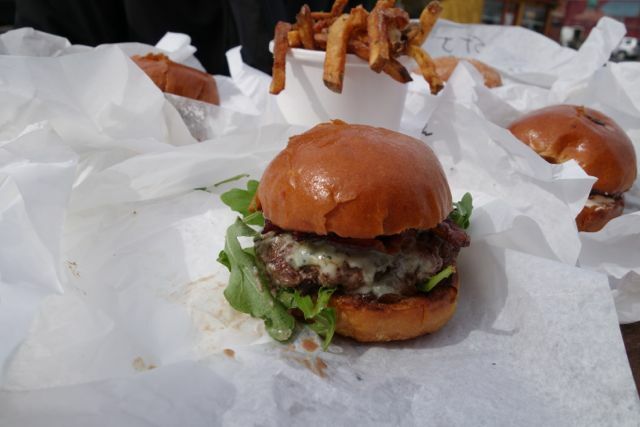 It was Angus beef patty topped with blue cheese crumbles, rosemary balsamic onions, crispy bacon, and arugula on brioche. It was very tasty, I loved the combination of flavors on this. The blue cheese wasn’t overpowering like it sometimes can be. The special of the week. The St. Johns is the Portabella, which I thought was good. I really liked the bun on this one and with the added Roasted Romas and Portland Creamery Herbed Goat Cheese it had tons of flavor. Not my favorite, because I really like my beef, but I wanted to at least try a vegetarian option to see what they had. If you are vegetarian you will be pleased with this one for sure. The St. John’s from PDX Sliders. A great option for vegetarians. The Sellwood Beef, Bacon, Beecher’s Flagship Cheddar, Caramelized Onions, Butter Lettuce, House Made Aioli on a Brioche Bun. Lots of things going on, yet the beef was able to shine through and the beef is good. 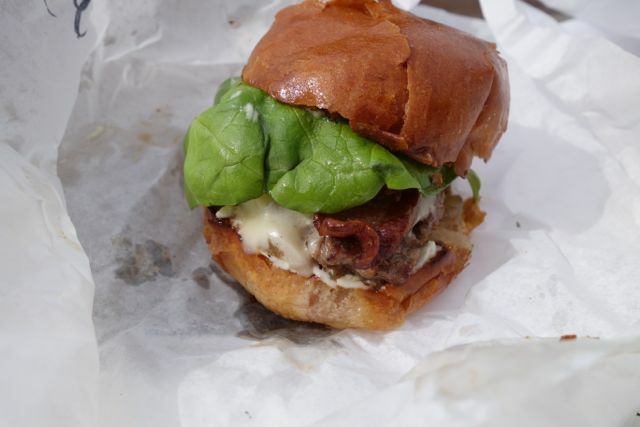 The Sellwood with bacon and butter lettuce. Plus a whole lot more. The Hawthorne. 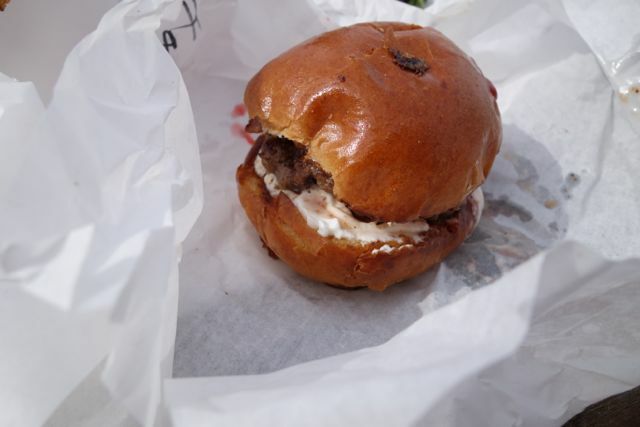 Beef, Bacon, Portland Creamery Goat Cheese, Glenmore Farms Strawberry Preserves on a Brioche Bun. Definitely a creative idea. I liked the sweet and savory going on in this one. The favorite by far was the Sellwood, but we also see a few more we need to go back and try. I need to EatMyWayThru all the Bridges of PDX Sliders. With the specials that they run every week it could take me awhile. 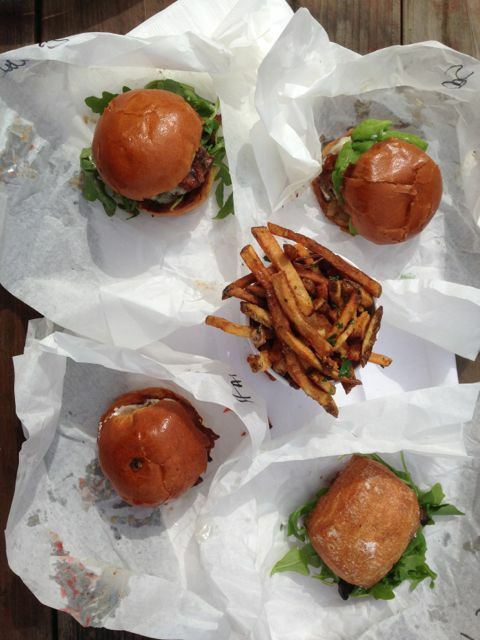 What’s been your favorite burger from PDX Sliders? Atmosphere is a car wash. Haha! Yep, wash your car while you wait for your order I guess. They do have one table out front and we squeezed on with another family. Lots of street parking, which is nice. Price is $3.50 for the sliders and I personally think you need 2. Service was great. We got to talking with the owners who were great. They had all kinds of drinks available, yet the people next to us brought over their 7-11 slushies. Keepin it classy. 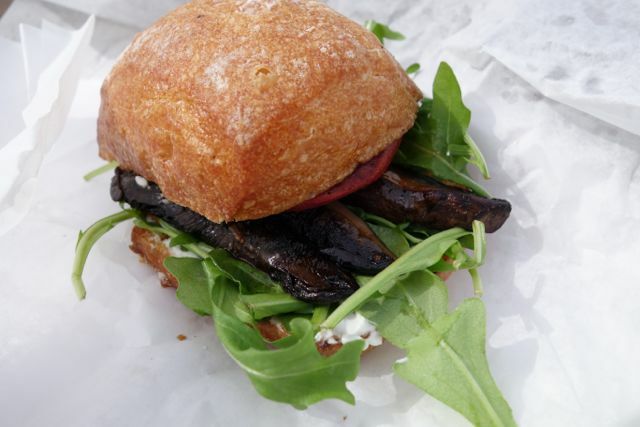 PDX Sliders is located in Sellwood. I am also a big sucker for food carts and live trying all of the different food and cuisines in Portland. Also I have tried this food cart, and really liked some of their sliders as well.